The Companies Act contemplates two distinct sets of instances in which a person may be declared delinquent, alternatively placed under probation. The wording of section 162(5) is peremptory, in that a court must make an order declaring a person to be delinquent in particular instances. The wording of section 162(7) grants the court a discretion, in that a court may make an order placing a person under probation in particular circumstances. There are not many cases dealing with the declaration of delinquency as a director, but there are common threads to be gleaned, which guide litigators in this regard. What of directors who are also shareholders of a company? Are they held to a different standard than other directors? Should they be? This article explores the abovementioned issues. In Kukama v Lobelo and Others, Tshabalala J found that the evidence before him indicated that the director in question had, inter alia, failed to refund SARS R39,000,000.00, causing irreparable harm to the company and also exposing the said company and the applicant in that case to criminal liability; and (ii) failed to alert his co-director and co-shareholder of the fraudulent transaction and a repayment by SARS of R22,000,000.00 into an account of another company over which the applicant held no directorship. The aforesaid conduct is, obviously, of an extremely serious nature and the director was declared delinquent in such circumstances. 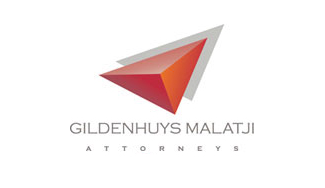 In Gihwala and others v Grancy Property Limited and Others, Wallace JA (Louis JA, Leach JA, Seriti JA and Tsoka AJA concurring) held that the directors in question were delinquent, having, inter alia, (i) used the company to provide themselves with financial benefits to the prejudice of the company’s only other shareholder; (ii) breached an investment agreement; and (iii) produced “hopelessly inaccurate and incomplete annual financial statements”. In respect of the notion of grossly abusing one’s position of director, the aforesaid Judges stated that “we are not talking about a trivial misdemeanour or an unfortunate fall from grace. Only gross abuses of the position of director qualify”. In Companies and Intellectual Property Commission v Cresswell and others, David J found a director to be delinquent in terms of section 162(5)(c)(iv) in circumstances where the director had, inter alia, allowed the company to continue business in parlous and insolvent circumstances and extracted company money in order to pay directors fees and to continue business, knowing that permission was required for the company’s business and had not been granted, the company being a public company, which required proper accounting systems. Another instance of gross negligence warranting the declaration of a director to be delinquent occurred in Msimang N.O. and another v Katuliba and others, where the directors failed to hold the company’s annual general meetings and failed to prepare annual financial statements and to appoint an auditor, in contravention of the old Companies Act. In Grancy, the background and purpose of the provisions of the Act were contemplated in respect of objectives including (i) increased protection of “the public and investors” against “unscrupulous company directors”; (ii) an enforcement mechanism for those harmed by delinquent conduct; and (iii) eliminating delinquent directors from operating. whether the alleged harm, or potential harm, was suffered, or had the potential to be suffered, by the company or by other shareholders. Can a shareholder, who is also a director, ever seek to advance his position as shareholder, if it affects, or is affected by, his duties as a director in any manner? Would this constitute toeing the brink of impropriety, or is it actually unlawful? And can one justify the oppression of shareholders’ interests, obliging directors to act, at all times, in such capacity? Certainly, one individual may act in different capacities at different times, each capacity attracting its own duties and interests. The cases examined below illustrate the position in our law. To start, one must consider the principle expressed in Gundelfinger v African Textile Manufacturers Ltd, by Stratford, C.J (Tindall J.A and Centlivres, J.A concurring) – which responded to the postulate raised by a party in the case that “directors who had improperly voted at the board meeting could not properly vote to the same purpose at the shareholders meeting”, it was stated that this notion contradicts the “well-established rule that shareholders may vote at a meeting of a company in favour of their own interests – always assuming, of course, an absence of fraud.” The adverse of such principle would prevent shareholders from “voting in an ordinary legitimate manner on a matter within the scope of the company’s powers” [emphasis added]. There is no suggestion that the principle that shareholders’ rights to vote in their own interests cannot co-exist with directors’ voting rights, nor is there any qualification to the rule in this regard. The only qualification which appears to apply to the said rule was, as stated in the case of Sammel v President Brand Gold Mining Co Ltd by Trollip JA, that majority shareholders could not use the power to “discriminate between themselves and the minority shareholders so as to give themselves an advantage at the expense of the minority”. Further, resolutions passed bona fide for the benefit of the company, and by the required majority, cannot amount to a fraud on minority shareholders. In the said case, the learned Judge quoted two other cases supporting the point – North-West Transportation Co Ltd v Beatty and Northern Counties Securities Ltd v Jackson and Steeple Ltd. In the latter case, Walton J spelled out that shareholder-directors may act differently in their respective capacities on the same matter. For a director to be considered “delinquent”, conduct must be of a very serious nature, constitute a gross abuse and go beyond negligence. Reliance by a director on incorrect professional advice will not be enough to render the conduct delinquent, in itself. Shareholder-directors may act entirely in their own interests as shareholders, provided there is no fraud and they are not majority shareholders attempting to discriminate against minority shareholders (the proper relief may not be in section 162, but section 163). Shareholder-directors may act differently in their respective capacities on the same matter. This alone will not give rise to delinquency. (38587/2011)  ZAGPJHC 60 (12 April 2012). 2017 (2) SA 337 (SCA). 2017 (2) SA 547 (WCC). (21092/2015)  ZAWCHC 38 (27 March 2017). 2013 1 All SA 580 (GSJ). 1 all ER 481 (HL) at 503. 1969 (3) SA 629 (A) (at 680). 2001 (3) SA 1074 (C). (1887) 12 App Cas 589 (PC). 2 All ER 625 (Ch).